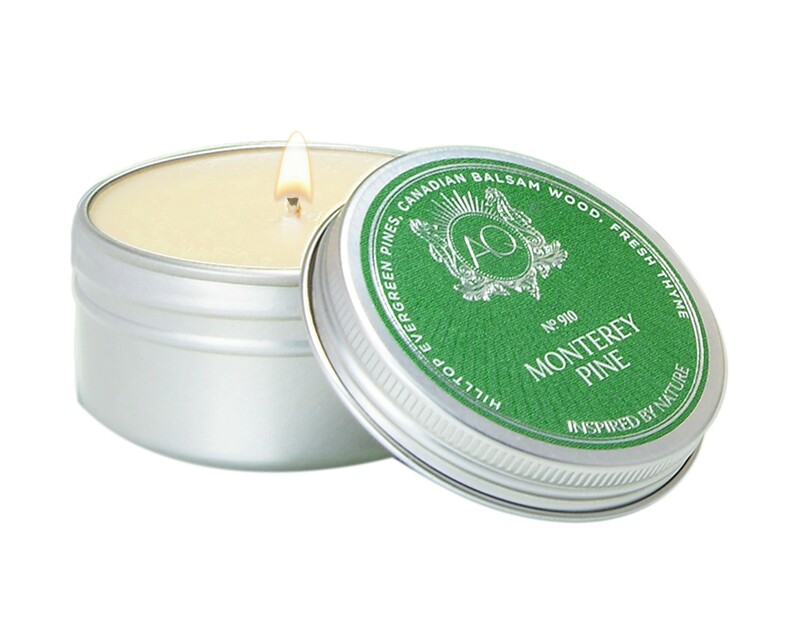 Aquiesse Monterey Pine Travel Tin Candle is a fresh and earthy composition of cypress and pine that invoke an invigorating walk through winter forests. An inviting aroma that blends in the dark wood notes from Canadian balsam and green leaves of thyme. All layered together to invoke the pleasant memories of holidays past.